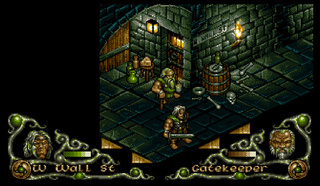 Darkmere (or Darkmere: The Nightmare’s Begun) is a fantasy rpg-action-adventure game developed by Zero Hour Software and published by Core Design in 1994 for the Amiga. 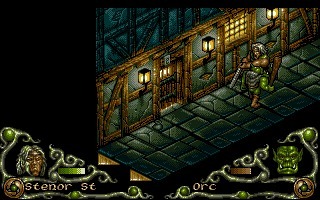 Darkmere (or Darkmere: The Nightmare’s Begun) is a fantasy rpg-action-adventure game developed by Zero Hour Software and published by Core Design in 1994 for the Amiga. 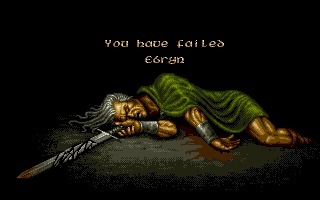 There was also an intended Atari version of the game that fell through. 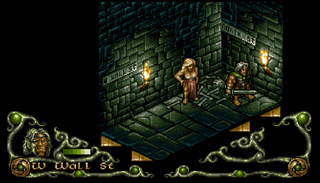 The game was designed by Mark K. Jones, who also created the amazing graphics. Stepping into the shoes of Prince Ebryn, you are sent on a quest by your father, the king, who has allowed the kingdom to fall to ruin. Reaching a new low, the land is covered by a dark cloud and it’s up to you to bring it back from the brink. 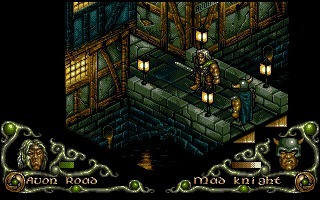 Heading out into a hostile world, equipped only with your elven sword, you must discover the source of the evil darkness. Ebryn can walk around in 4 directions and examine things. 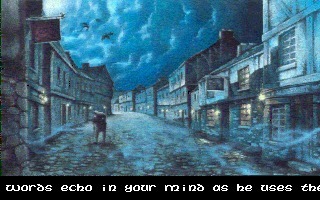 He can also question friendly NPCs about different things to gain what information they may have. 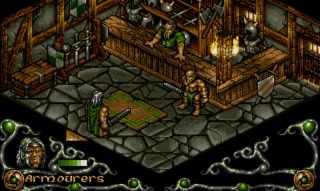 Combat happens in real time with enemies seen walking around the game world, rather than just appearing at random. 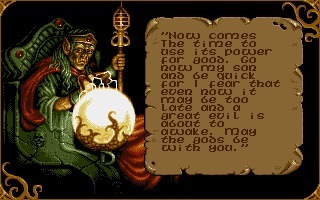 Take on and complete quests in order to progress through the story and help Ebryn reclaim his kingdom. 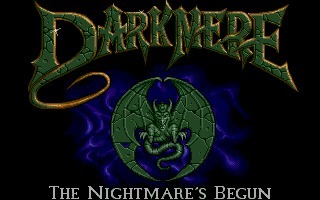 Darkmere was released to very positive reviews among critics and gamers alike. 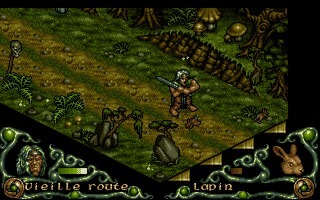 It was also voted the #3 Best RPG in 1994 in Amiga Joker. Mixing action and adventure, Darkmere can please more than just fantasy RPG fans. Darkmere has a quasi-sequel known as Dragonstone, done solely by Core Design itself.